Infrared Thermography Certification is a premium qualification in the industry. 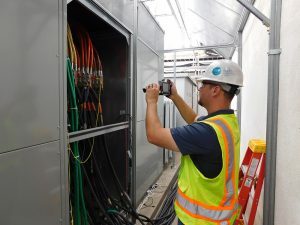 ITC verifies that a thermographer can operate an infrared camera, collect quality data, produce professional infrared inspection reports, and understand the techniques and limitations of infrared thermography. Infrared certification courses meet or exceed ASNT SNT-TC-1A guidelines. Level I and II certification training are accredited by the National Electrical Testing Association. We welcome your inquiries about thermographic electrical and mechanical system inspections.